Chaos and violence threaten to spiral out of control in America’s third largest city, and nobody seems to have any idea how to solve the problem. (NaturalNews) Factually speaking, the CDC is a malicious, criminally-run anti-science quackery front group for the vaccine industry. 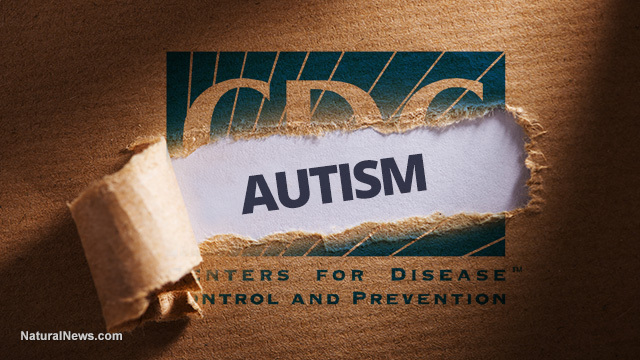 As part of its criminal activity, it has long insisted that the vaccine preservativethimerosal is not tied to autism. But once-secret documents, now forced to be revealed by the CDC, prove the agency knew that thimerosal causes autism but deliberately hid that evidence from the public in exactly the same way the EPA hid the truth about lead poisoning of the public water supply in Flint, Michigan. When the results of the Verstraeten study were first reported outside the CDC in 2005, there was no evidence that anyone but Dr. Verstraeten within the CDC had known of the very high 7.6-fold elevated relative risk of autism from exposure to Thimerosal during infancy. But now, clear evidence exists. A newly-acquired abstract from 1999 titled, “Increased risk of developmental neurologic impairment after high exposure to Thimerosal containing vaccine in first month of life” required the approval of top CDC officials prior to its presentation at the Epidemic Intelligence Service (EIS) conference. Thimerosal, which is 50% mercury by weight, was used in most childhood vaccines and in the RhoGAM shot for pregnant women prior to the early 2000s.The CDC maintains there is “no relationship between Thimerosal-containing vaccines and autism rates in children,” even though the data from the CDC’s own Vaccine Safety Datalink (VSD) database shows a very high risk. There are a number of public records to back this up, including this Congressional Record from May 1, 2003. The CDC’s refusal to acknowledge thimerosal’s risks is exemplified by a leaked statement from Dr. Marie McCormick, chair of the CDC/NIH-sponsored Immunization Safety Review at IOM. Regarding vaccination, she said in 2001, “…we are not ever going to come down that it [autism] is a true side effect…” Also of note, the former director of the CDC, which purchases $4 billion worth of vaccines annually, is now president of Merck’s vaccine division. As you read all this, remember that I personally acquired and tested flu shots for mercury in my laboratory — now called CWC Labs — via ICP-MS instrumentation. 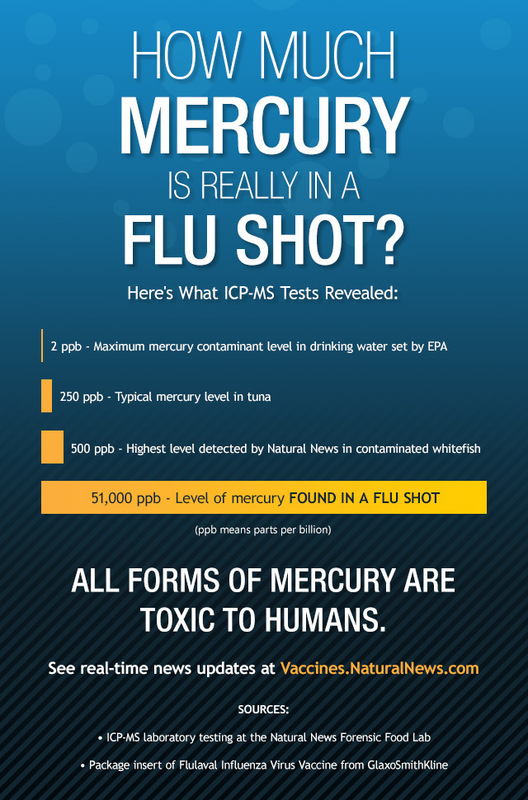 Those tests revealed that flu shots contain over 50,000 ppb mercury — more than 25,000 times the EPA’s mercury limit in drinking water. Any person believing that injecting children with mercury has no biological consequences is either delusional or scientifically illiterate. Mercury is one of the most toxic elements known to modern science, and it causes neurological damage in all its forms (ethyl, methyl, organic, inorganic and elemental). Watch my interview with mercury expert Chris Shade to learn even more about mercury toxicity. The CDC knew all along that mercury-laced vaccines have been destroying the lives of children… and it did NOTHING to stop it! The upshot of all this is that the CDC knowingly allowed the lives of countless children to be destroyed by deliberately covering up the links between mercury in vaccines and autism. This is why I correctly describe the CDC as a “criminal organization.” It is an active, modern-day medical mafia engaged in criminal-scale medical negligence and the mass maiming of innocent children. The CDC, in effect, is run by mass murderers pretending to be scientists. It’s part of a pattern of medical murder by government agencies, including the EPA (which covered up the horrific lead poisoning of black children in Flint), the FDA (which refuses to remove deadly prescription drugs from the market until huge numbers of people are already dead), the USDA (which openly conspires with Monsanto to poison our food with unsafe GMOs) and the CDC. 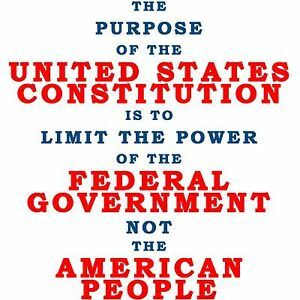 It also makes you wonder… what else is the federal government covering up that’s killing, injuring or maiming children today? 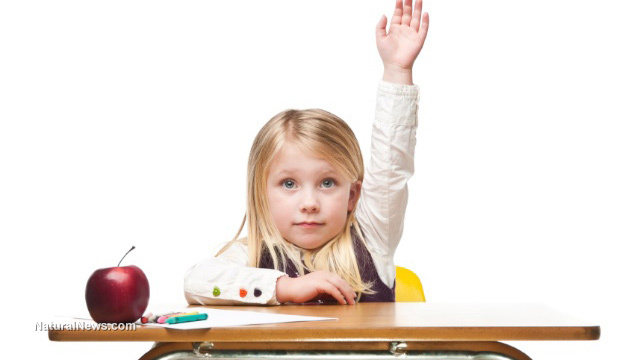 The test given to high school students is rife with factual errors and gross omissions, such as claiming that polio infection rates “dropped by 99% when vaccine was introduced in 1955.” Children are not taught that polio vaccines cause paralysis and that the official rates of polio dropped largely because government officials altered the definition of “polio” to create the illusion that the vaccines were working better than they actually were. Children are also not taught that vaccines still contain mercury, formaldehyde, aluminum and MSG, all known neurotoxins with devastating effects on the brains of some children. Nor are these students told that flu shots given to children in California contain 25,000 times more mercury than the EPA legal limit of mercury in drinking water. Click here to contact the Redondo Beach Union High School. Perhaps suggest they should replace their vaccine propaganda indoctrination training with practical instruction on vitamin D, nutrition and how to boost immunity naturally, without injecting children with brain damaging chemicals. See California begins injecting children with mercury… flu shot ‘shortage’ cited as bizarre justification… state safety laws nullified to push vaccines. In most people with a healthy immune system, a poliovirus infection does not even generate symptoms. Only rarely does the infection produce minor symptoms, e.g. sore throat, fever, gastrointestinal disturbances, and influenza-like illness. In only 3% of infections does virus gain entry to the central nervous system, and then, in only 1-5 in 1000 cases does the infection progress to paralytic disease. 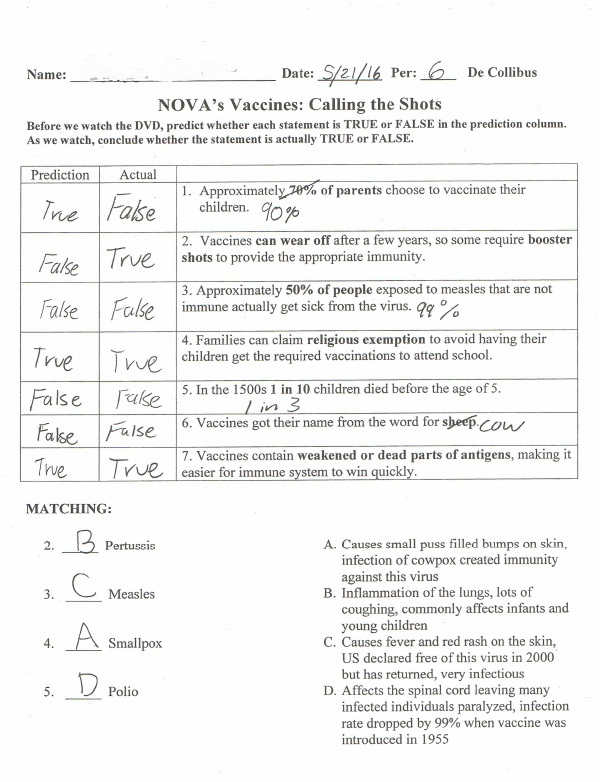 The high school vaccine propaganda test, shown below, demands that children declare their obedience to the debunked idea of “herd immunity,” a fictional, fairy tale narrative pushed by the vaccine industry to cast shame and blame upon non-vaccinated children. Even according to the vaccine industry and its intellectually dishonest proponents, vaccines are so bad at conveying immunity against infectious disease that even children who have already been vaccinated are at grave risk of being infected by non-vaccinated children. Such claims make no rational sense, of course. If vaccines worked, then vaccinated children would have nothing to fear from non-vaccinated children who they claim carry the disease. And yet the deeper truth here is that non-vaccinated children tend to have far stronger immune systems, making them far less likely to be carriers at all. It is immune-compromised vaccinated children who are always the ones getting sick and spreading disease. That’s why nearly all documented outbreaks in recent memory have taken place among children who were already vaccinated. See Measles outbreak documented among fully immunized group of children and Measles outbreak likely caused by vaccinated children, science shows. These scientific facts are never taught to children during vaccine indoctrination programming in public schools. Instead, children are ridiculously taught that vaccines only save lives and never harm them. They’re taught that vaccines are based on “science” and therefore anyone who questions the outrageous claims of safety and efficacy of vaccines must be “anti-science.” And of course they’re never taught that the sharp reduction in infant mortality from 1850 – 2000 owed credit almost entirely to improvements in public sanitation, running water and soap. The response to the Brazilian coup shows that the BRICS powers are not a real alternative to US imperialism. On May 12, Brazil’s democratic government, led by the Workers’ Party (PT), was the victim of a coup. What will the other BRICS countries (Russia, India, China, and South Africa) do? Will they stand by as the reactionaries who took power in Brasilia pivot closer to Western powers, glad to warm Dilma Rousseff’s seat at the BRICS summit in Goa, India in five months’ time? Amazing restraint from the Russian gov’t and Prez Putin, who has an uncanny ability to make the right moves at the right time without undo attention, fanfare, emotions. A true grandmaster of geopolitical tactics and strategy. That’s why there’ll be no WW3 despite the provocateurs and warmongers at the US state dept. Lady Lada, Putin has signed a decree pardoning “Nadezhda Savchenko” recently! i just don’t know what to say about this !!? Just hope, we do not see her again directing Ukrainian artillery on Donbass & Lugansk, within months ! That would be very sad outcome ! Nadezhda Savchenko is a Ukrainian subversive operative and member of the ukro-nazi battalion Aidar. For some incomprehensible reason she is often referred to as ‘pilot,’ which is false since she had never flown a single mission anywhere. The ‘pilot’ title is clearly attached to her to give her more weight. Those who knew her report that she always had sadistic tendencies and enjoyed torturing prisoners. Confirming suspicions that the ouster of Brazilian president Dilma Rousseff is, in fact, a coup designed to eradicate a wide corruption probe, Brazil’s largest newspaper on Monday published damning evidence of a “national pact” between a top government official and oil executive. Hillary Clinton violated federal records rules by never obtaining permission to conduct official business on private email server during her tenure as secretary state, a State Department audit concluded. The report from the State Department’s inspector general say mentions “longstanding, systemic weaknesses” in the agency’s communications even before Clinton took office there, but it singles her out as having been a particularly bad offender for her exclusive use of private, unsecured email. “Secretary Clinton had an obligation to discuss using her personal email account to conduct official business with their offices, who in turn would have attempted to provide her with approved and secured means that met her business needs” says the audit, which was first obtained by Politico.